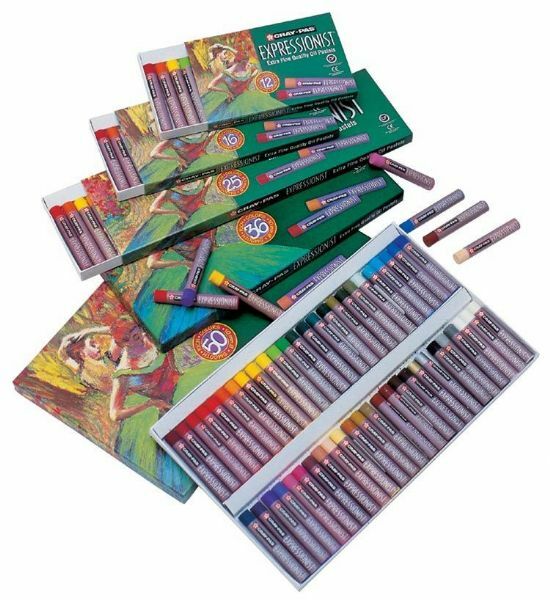 Widely used by high school students instructors hobbyists and seasoned artists. * Jumbo-sized round stick is ideal for adult size hands. * Suitable for many surfaces such as paper cardboard canvas and wood. * Use for still life landscapes portraits etc. Certified CP non-toxic from ACMI. * Set includes 36 pastels: Dark Rose Red Vermillion Orange Yellow Orange Yellow Lemon Yellow Yellow Green Green Viridian Hue Deep Green Green Gray Olive Green Pale Green Emerald Green Pale Blue Cerulean Blue Blue Ultramarine Prussian Blue Purple Light Purple Pink Rose Gray Salmon Pink Pale Orange Yellow Ochre Olive Brown Brown Vandyke Brown Sepia Gold Silver Black Gray White.